Lora Kesselhon Victory Over Cancer! I thank God for all the love and support that Lora Kesselhon received from family and friends while going through brain and spine cancer! Here are some encouraging scriptures referring to new life. Introduction To My Niece Lora Kesselhon! My Niece Lora Kesselhon During Her Treatment For Cancer! Lora Kesselhon and her daughter Havala during her cancer treatments. One of my favorite nieces, Lora Kesselhon, shares her story from February of 2008; She was diagnosed with CNS lymphoma, a very rare cancer of her brain. Lora was also 23 weeks pregnant then, and her baby (Ruth) was forced to be born premature, but God still was in control, and to this day, Lora and Ruth are both doing wonderfully, praise God! They both went through a lot, thank God that everything worked out. 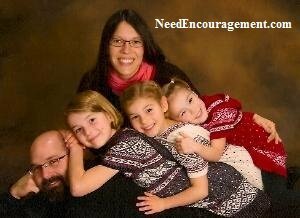 I am convinced in my heart that all the prayer that people were praying for Lora and Ruth and the family were answered. I praise God that they both come out of it in good shape with full recovery. Lora went through a lot, yet her family and friends stuck close to her all the way! God was watching over them both. Lora had a lot of people praying for them including me. What is Cru (Campus Crusade for Christ), and what are their beliefs? Why are there times when God seems silent/absent in a believer’s life? My niece Lora Kesselhon has victory over cancer by the grace of God and love and prayers from her entire family! Diagnosed with CNS lymphoma, a rare blood cancer in her brain and spine. She was also 23 weeks pregnant when this all began. Lora and Ryan and the three girls, Havala, Maren, and the youngest Ruth who was born prematurely so her mom could get the cancer treatment she needed! Now, five years later, listen to Lora tell her amazing and miraculous story in the videos below to learn about her victory over cancer. If you would like to contact her personally, you can email her. Now she continues to serve the Lord in ministry with her husband Ryan with CRU while they raise three great-nieces of mine. Lora and Ruthie are both a miracle! Now she continues to serve the Lord in ministry with her husband Ryan with CRU while they raise three great-nieces of mine. Lora and Ruthie are a miracle! Getting Back To Normal After Everything! Lora Kesselhon And Her Miricle Recovery From Cancer! Lora Kesselhorn was alone when she went through quite a bit! But with God’s help, Lora made it through. There are many things that I am so proud of Lora for, but the biggest thing that stands out in my mind is her trust in God. Despite everything she went through, she stood firm in her faith! With having two kids and being 23 weeks pregnant while having this dangerous type of cancer, she seemed to have an absolute peace about everything Philippians 4:7 that was going on with her. I am not saying that her cancer was not painful or scary, but that her faith in God Proverbs 3:3 was greater than her fear and pain. 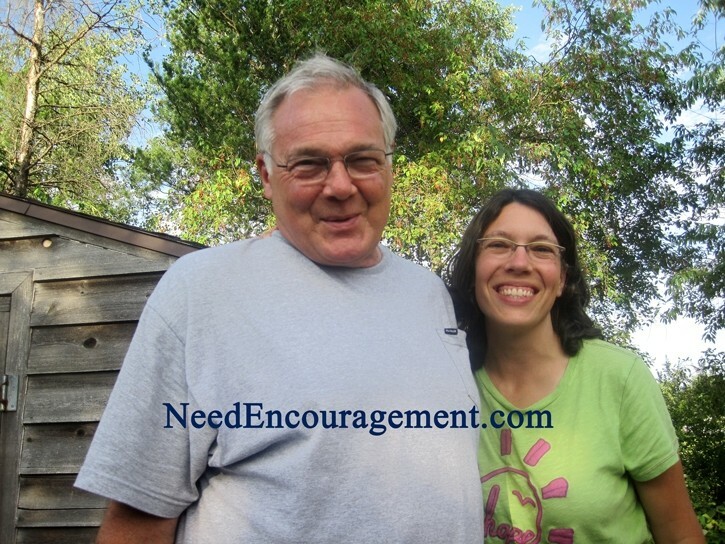 It is always good to get together for family gatherings when Lora and I can talk about God and spiritual matters. To me, she and my great-niece Ruth are both miracles from God. It is evident that God has plans for their lives. I am sure that Lora knows that she has been blessed. It’s Incredible How This Psalm Brings Me Back To Rochester. Ryan read it to me, and I felt a wave of God’s love wash over me. He was there every step of the way. The rest of this psalm is just as amazing. Even saying that “Precious in the sight of the Lord is the death of his saints.” vs. 15. Even that was like the sweetest lavender balm on my head, giving me such hope. Lately, I have been reading the book Hinds Feet on High Places, by Hannah Hurnard with Havilah and Maren. I found a children’s illustrated edition that is so great on Amazon. It even has little reflective devotionals at the end of each chapter. The story is so good; I have been learning the age-old lessons all over again. Just A Couple Days Ago I Was Much-Afraid! The main character who is what her name implies encounters a flower in the desert. She had just learned that nothing in God’s creation is ever wasted, even though it is never seen by a person, but only by the Creator. God creates it and delights in it even if it’s just for his own pleasure. In the same way victories in our heart that are never seen by another are like a field of flowers that the Lord rejoices in. The flower was named “Acceptance with Joy,” and it was then that Much Afraid learned the name that she wanted to have as her own. Revealing that whatever God brings our way seemingly good or bad, that it gives him the greatest glory when we lay aside our expectations and “accept with joy” what he has given us. I know that sounds like a tall order, especially when you start putting real-life situations into that equation. Like, how would I react if Ryan died suddenly? Or something terrible happened to one of our kids. But the thing I remember is that God gives me grace for today, not for something that isn’t right now. God’s Name Is I AM After All! If someone had asked me what I would do if I were paralyzed, pregnant, with brain cancer and only six weeks to live, I would have never thought I could have had the peace and even joy to go through those days. But as we learned then and try to remember now, God gives me grace moment by moment. And to learn all I can during that time, because nothing is new under the sun, and I will be able to share the comfort I have received with someone else sooner or later. And if not, it can be a beautiful field of flowers for the Lord to delight it, just in the privacy of my own heart. It is a luxurious feeling to know that God has so much purpose for everything in our lives. We serve a loving Father. Well, my prayer warrior friends from all over the world, over the last five years, I have met some of you in grocery stores, Target, the Lake walk, and everywhere in between. You have prayed for my family and blessed God and us more than we will know until Heaven. I hope that the comfort I have received has comforted you and caused you to trust in the One who is most Trustworthy. This Is Probably The Last Time That I Will Write Here! But there are rumors of a book!?! As Waters Gone By maybe starting this year. I got the title from a song that is on “Glory Revealed” a Cd of Scripture put to great songs by different artist. It is on the 1st album from Job 11:16: “You will surely forget your trouble, recalling it only As Waters Gone By.” Please pray for me, that if writing this book would bring Him glory and comfort to others that I would have the time and mental space to accomplish it. Check out the latest pictures that I uploaded to this site. Ruth will always be a living testimony, look at her shine! What Part Did God Have To Do With My Life? It was 20 years ago today. Someone picked me up out of the mud and the mire and put my feet on a rock, giving me a firm place to stand. He put a new song in my mouth, a hymn of praise to our God. But I couldn’t have put it better myself! 20 years ago I was in need of saving. Lora Kesselhon Is Still Spreading God’s Word! Antineoplastons are peptides and derivatives of amino acids that work as genetic switches. They turn off the oncogenes that cause cancer and turn on or activate tumor suppressor genes. These are the genes that fight more significant.